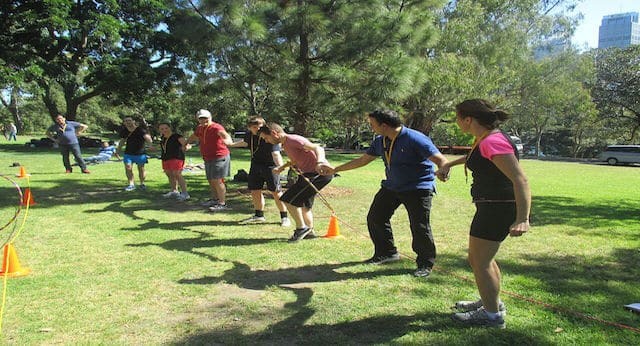 Mini Olympics is a fun and engaging outdoor team building program that is filled with laughter, activities and friendly competition. 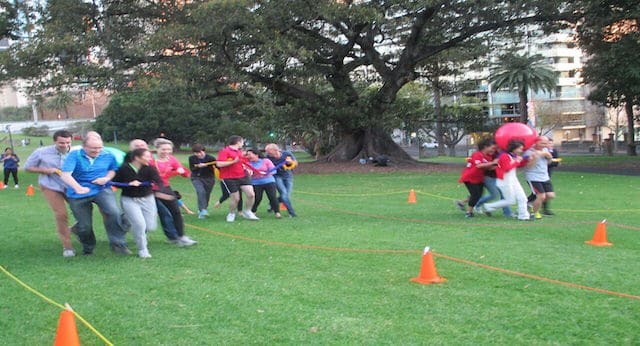 Mini Olympics is brilliant for bonding as it is active and fun with a hint of competitive spirit. 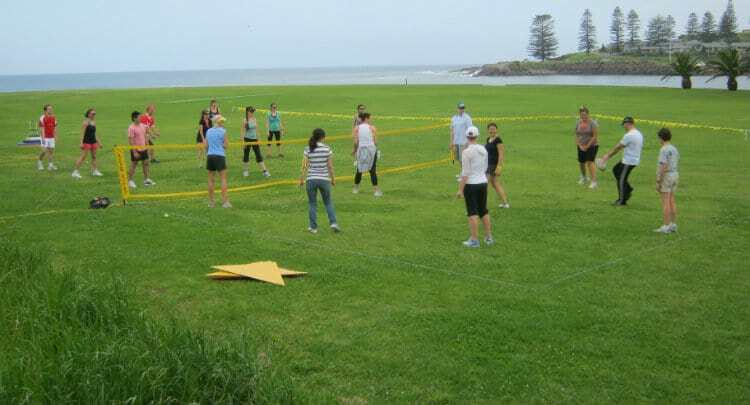 The structured event is excellent for a group of people, we split your group into teams with each becoming a country. Teams compete for head to head at 3 “stadiums”, named race meet, ball games and field meet. You will all be competing together at the stadiums, which makes it quite competitive. 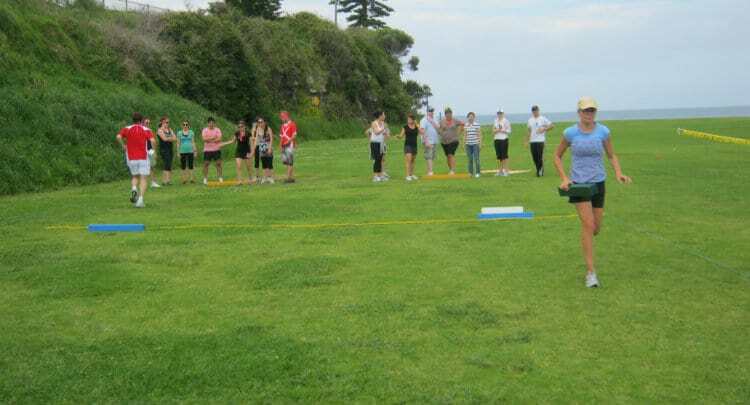 What happens during the Mini Olympics team building activity in Sydney? The duration is just over 2 hours including a warm-up exercise where each country prepares its own cheer, and toilet/drinks break between rotations. It takes about 10 minutes to compile the scores at the end to announce an overall winner. 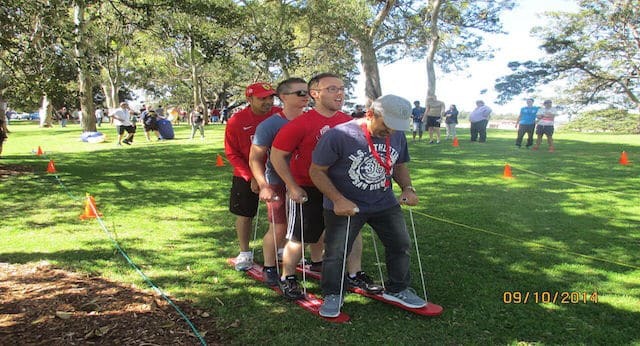 To ensure everyone is comfortable participating, the events are of various levels of physicality, from gentle to quite active, so those who aren’t particularly active can avoid high exertion. 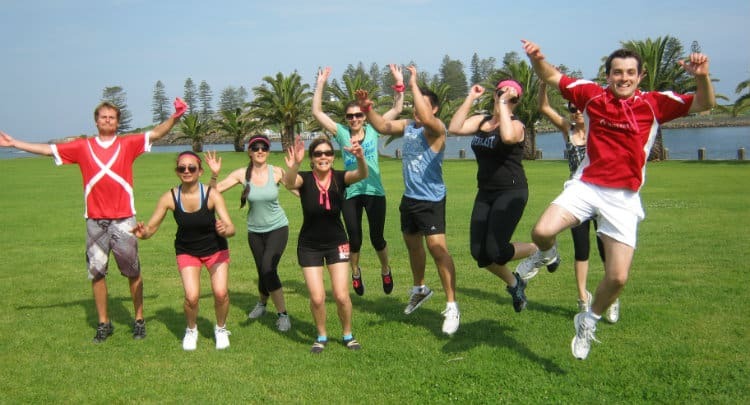 As people volunteer for the tasks no one is forced into doing anything they’re uncomfortable with, plus we encourage cheering and team spirit by awarding bonus points for the teams that are most supportive of each other. So don't waste your valuable time searching through hundreds of online activities for yourself, when we can do all the research and provide quotes for you? 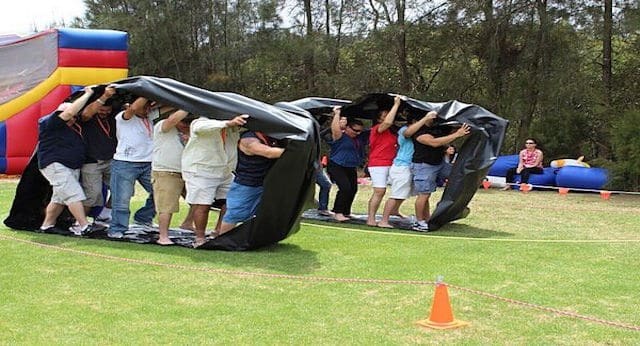 You will not pay for any more to book your activity through Team Building Made Easy, our service to you is totally FREE.